As a third installment in a series of articles on radiology physics, I’ve included a good summary table of important radionuclides to know for the ABR Core examination. This test also contains a component of the Radioisotope Safety Examination (RISE) which must be passed to obtain an Authorized User status from the ABR. Part of the RISE is contained on the core examination, and part of it is contained on the certifying examination which is taken 15 months after residency graduation. The second portion of the Radioisotope Safety Exam (RISE) is integrated into the Certifying Exam. The RISE elements on the Certifying Exam will be devoted to clinically-oriented practice scenarios which emphasize evaluation of practical knowledge of radioisotope safety and handling, as well as regulatory compliance. For more details, please refer to the RISE Study Guide. 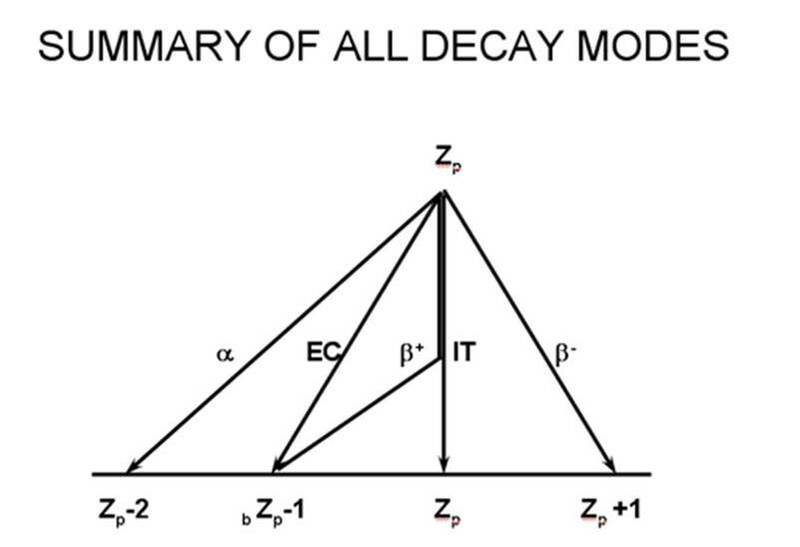 The graph below, a representation of the modes of radionuclide decay, is definitely high yield material for the ABR Core exam.